St Kilda is an iconic Melbourne inner city suburb. You will most likely have seen images of the very well known St Kilda beach and St Kilda Pier. The suburb contains some great Melbourne eating and a bit of grunge giving it an authentic Melbourne feel! 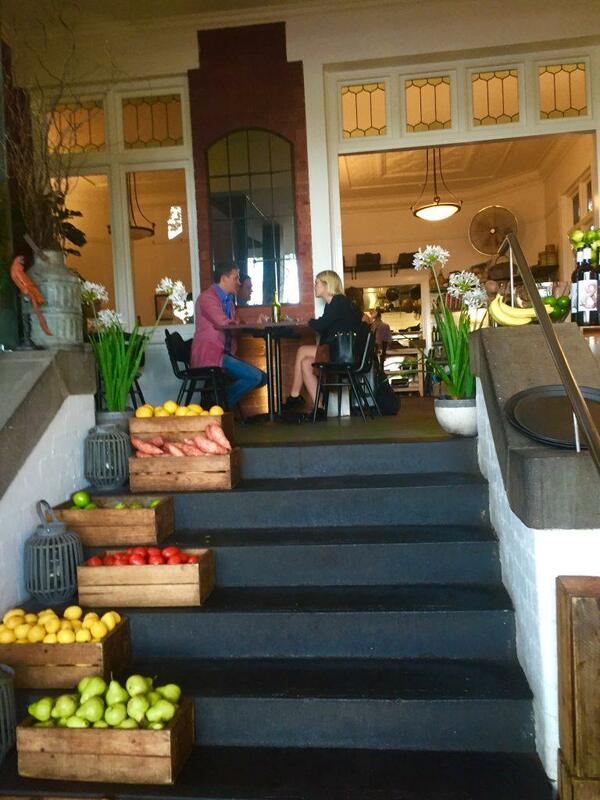 Tolarno’s is the place to stay in St Kilda. It has been around for years and has a great location on Fitzroy Street with several tram options right on its door step. Click here for the latest prices and availability for Tolarno’s. 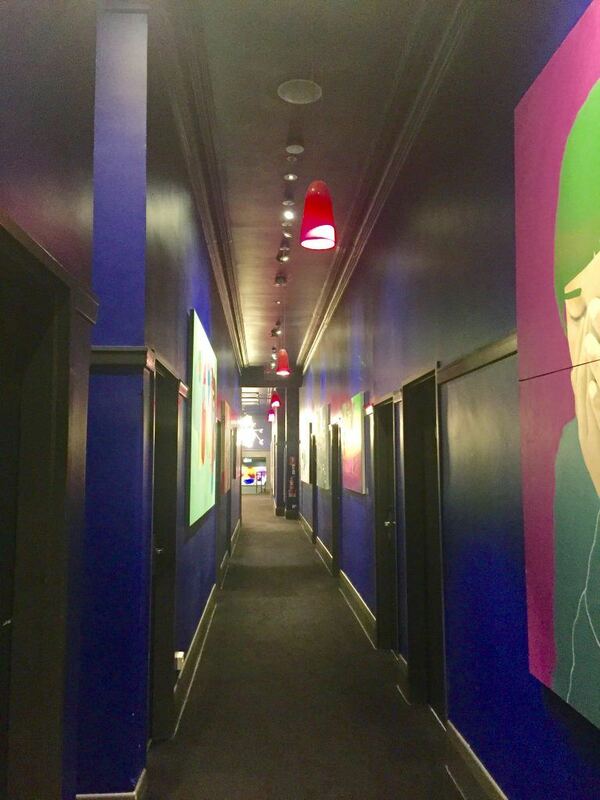 It is a modern boutique hotel with an artistic feel – it was once owned my Melbourne artist Mirka Mora. Many of her works are still hung around the hotel – as well as those of up and coming Melbournian artists which give the hotel a great feel. It is a funky and unusual setup. I have stayed in both the standard rooms which are very nice as well as the suites. My favourite room is 332. The rooms are comfortable and stylish and the suites have balconies fronting onto Fitzroy street. 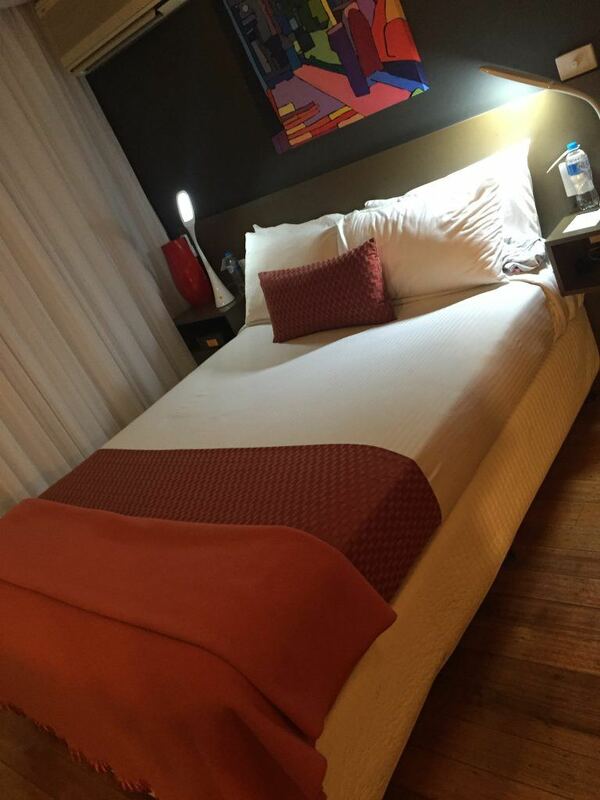 The beds are very comfortable with high-quality sheets and there are good grade toiletries. The suites have a little kitchen and a table. There is a Woolworths just up the road so you can eat in if you desire quite easily. You can also use local delivery services like Deliveroo if you would like a night in. The Tolarno’s restaurant was closed when I was there but I believe it is opening again in 2017. If you feel like heading out Tolarno’s is smack in the middle of many great restaurants. The staff is fantastic for recommendations – and most of the places listed below are in easy walking distance. Take a stroll along St Kilda beach which is also home to some amazing sunsets. Don’t forget to walk to the end of the pier to get the view and to get shots back. You can then head east towards Brighton or west towards the city once you hit the boardwalk. I love the walk towards the city – this takes you through Middle Park, Albert Park, and Port Melbourne. Once you hit Port Melbourne you can check out the iconic Station Pier – the point of entry for so many new Australians. 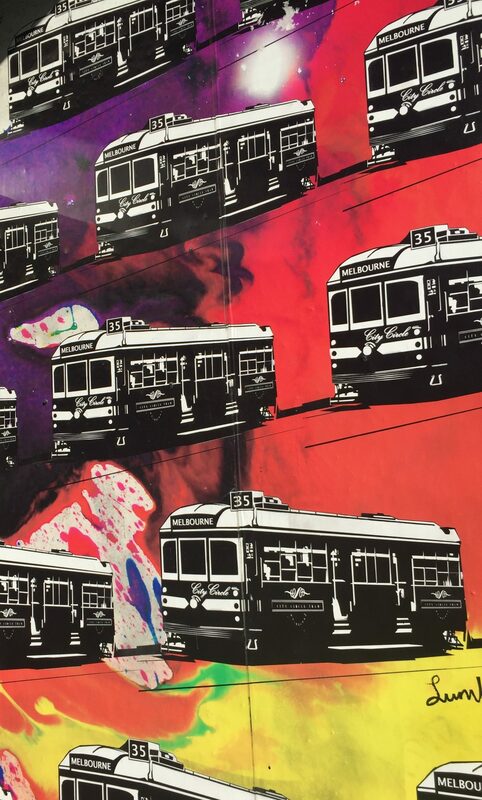 You can also hop on a tram here and be in the heart of the city within ten minutes. Another famous Melbourne image is the gaping mouth of the entry to Luna Park. Pop in for some retro shots and perhaps hop on a rollercoaster. From here you are only a short stroll to atmospheric Acland Street. Acland Street is filled with cafes, restaurants and cute shops. But it is most famous for its cakes so this is the thing to do – my favourite is the Europa Cake Shop. If you feel up for a bit of exercise in addition to your walking head to the St Kilda bowls club on Fitzroy Street. About 20 years ago this place made bowls young and it is worth a visit for a fun afternoon. Finally, if you have time see if you can get to a gig at the Palais. There wouldn’t be a person who grew up in Melbourne that hasn’t been to at least one gig here! One of the best things to do in Melbourne is of course eat! There are so many good food options in St Kilda. So many in fact that I can give you a recommendation based on your preferred cuisine type! If it is Mexican you are after head to Newmarket. This is modern Mexican – no sloppy sour cream and heavy on the guac. This is fresh and light and flavoursome. Read more about Melbourne’s Best Mexican Restaurants. If you’re feeling European head to Luxembourg on Fitzroy street – they do fantastic meat and cheese platters. For seafood head to Claypots on Fitzroy street for a great value meal. There is another Claypots at South Melbourne market. This is a more casual set up with a menu that reflects this. But the calamari is to die for! Finally, perhaps my preferred option, if I had to choose one, would be Ichi Ni on the esplanade. I do love a funky Asian restaurant and Ichi Ni hits the spot. The aubergine with miso paste was especially good. And you must try the deep fried prawns with mayonnaise – the Ebi mayo. Like most places in St Kilda, they have a great outdoor area so that you can check out the view weather permitting. My number one for coffee is Fitzrovia – more on that below in If You only do one thing. It is almost hard to get bad coffee in inner city Melbourne but a couple of other proven spots are GB Espresso on Fitzroy Street and then coffee plus at Il Fornaio a great little bakery on the Fitzroy Street end of Acland Street. If you have space in your stomach and are after a novelty restaurant in Melbourne head to Milk the Cow – a fantastic cheese bar on Fitzroy Street. They have done a lot of the work for you here and have many different recommendations on flights of cheese, cheese and wine, cheese and treats, cheese and everything! If you’re into all things cheese check their website before you go as they often have cheese and wine evening events on. It is a lovely little bar/restaurant and has a great outdoor seating area if the weather works. It is also next door to the Luxembourg Café mentioned above so could also be dessert after dinner there. How good does this breakfast look? Have breakfast or brunch at Fitzrovia. Or really anything here – they are open for dinner some evenings midweek. The food here is FANTASTIC! I have tried most of the breakfast/brunch menu and there are no bad choices. However, the classic bacon and eggs are my absolute favourite – with their tomato relish. The quality of their ingredients is out of this world. The staff are fantastically friendly. The place itself has a lovely atmosphere. They also do outstandingly good muffins and more amazing sweet things. And then there is the coffee. Even decaf is brilliant here. I have been to Fitzrovia at least 10 times and it has never disappointed! And click here if you are looking for more Great Melbourne Brunches. One of my favourite things to do in Melbourne is to wander some of its interesting neighbourhood streets. One of the best places to visit in Melbourne is the very cute Greville street. Although it has been around for years it has always been a bit of a hipster paradise filled with groovy edgy shops and cafes. I’ve been away from Melbourne for 13 years and this was a place that was cool to go when I was at University. Amazing that it is still a happening area for all! If you are driving then the best place to park is the big parking lot on St Edmonds road behind Coles, Woolworths etc. 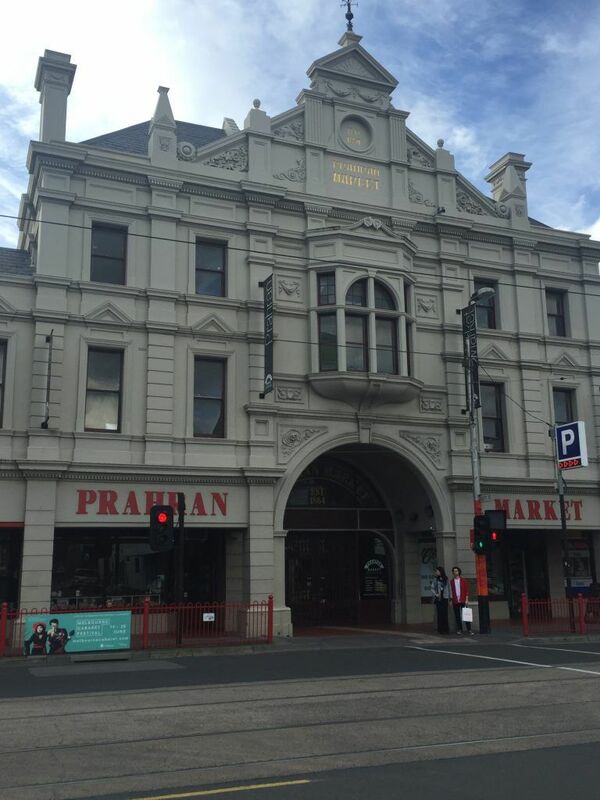 This also allows you to take a wander down to Prahran Market. Personally, I am a much bigger fan of the Vic and South Melbourne markets but the delis at Prahran have some fantastic deal – $10 for 4 different items from meats to dips! Heading onto Greville Street itself there are a couple of fab little art shops. There is a lovely little shop with loads of local artists who do gorgeous prints – Signed and Numbered. 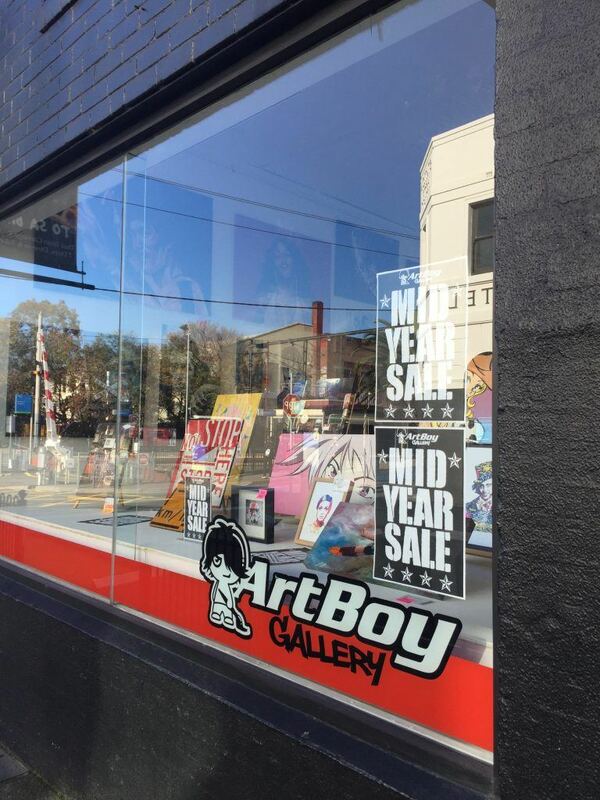 Further down towards the station is the edgier ArtBoy Gallery. 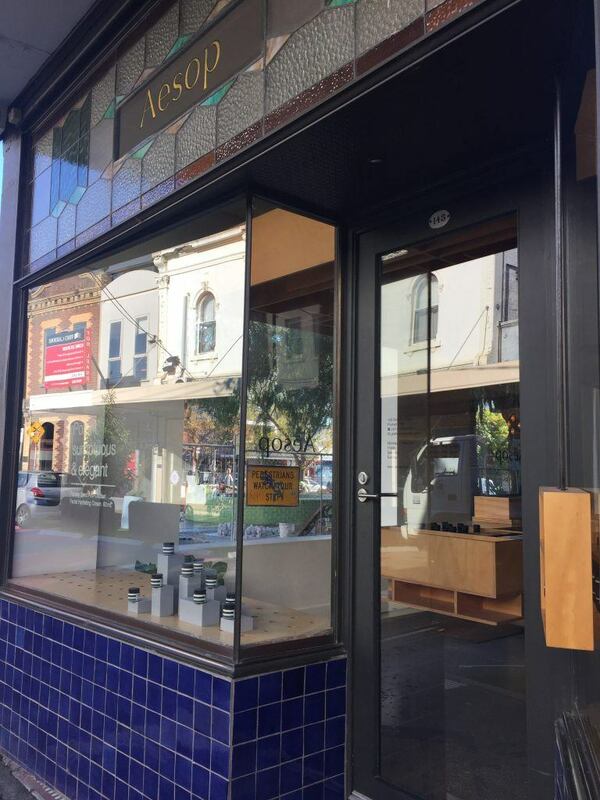 No hip street in Melbourne would be complete without an Aesop store emitting lovely smells and Greville Street is no exception – this one supports the logo in the lovely stained glass. 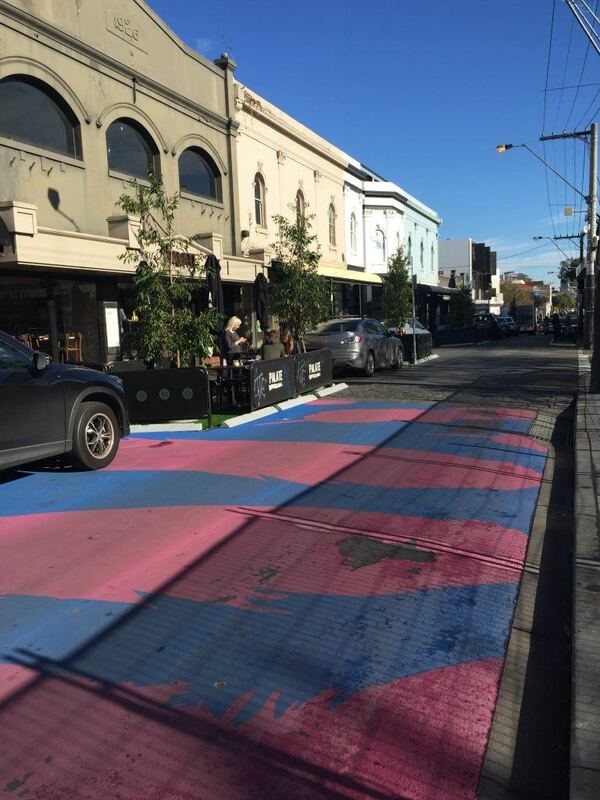 One of my favourite things on Greville street is how much they have turned a street into a Melbourne experience. Love the road with its blue and pink. And the fact that there is outdoor seating along the whole street. The majority of it is with super cute “spools” – I think that is what you call them! They are chairs and tables that look like they should have spun threads on them. 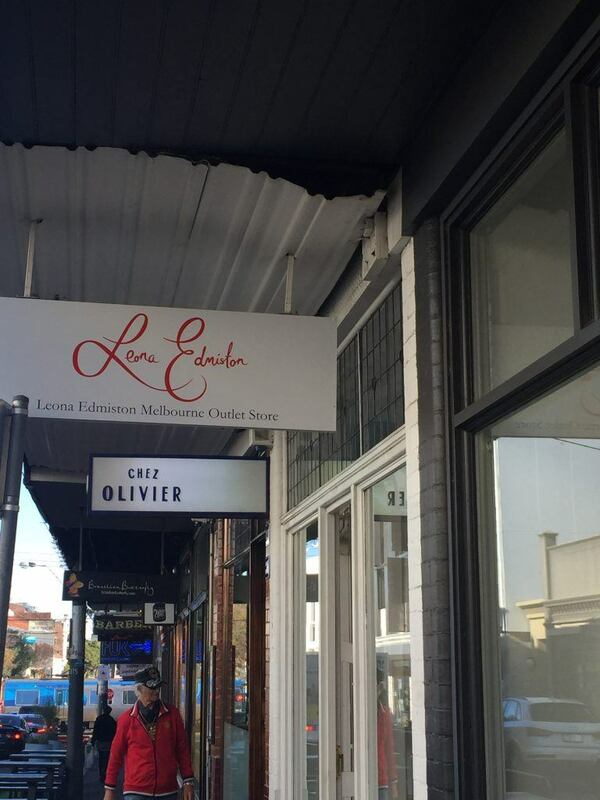 There is a quite new Leona Edmiston outlet store now in place – she is a Melbourne based designer who has fab reasonably priced frocks that are particularly good if you have a few curves. Also on the fashion front is Kit and Ace the Canadian brand with the comfiest tops going around as they include cashmere with their cotton. 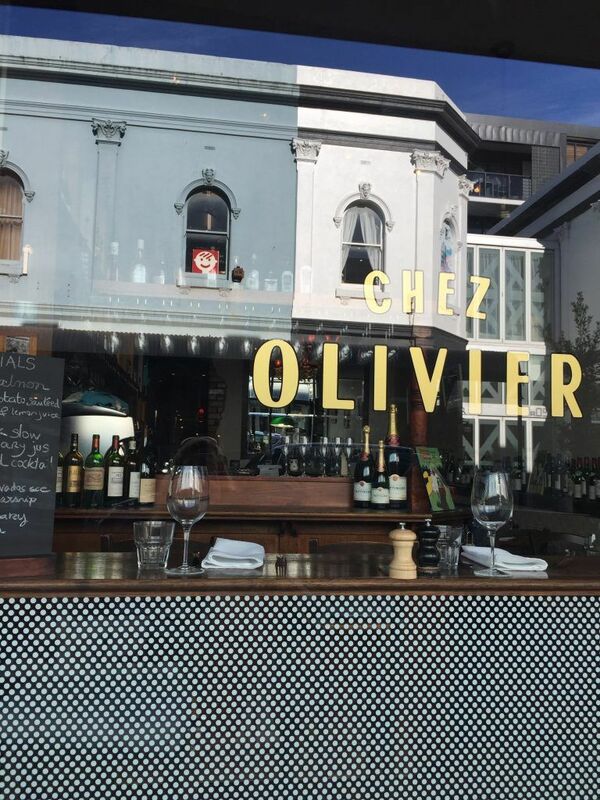 On the food front is Chez Olivier. I have not actually been here but it has a good reputation for French food. My favourite place is on nearby St Edmonds street – a café actually called St Edmond’s. They do fabulous sandwiches/toasties and a mean salad. And of course, as we are in the heart of hip Melbourne amazing coffee. All with a very cute outdoor seating area. On the novelty front is Mag Nation – purported to have every magazine you could possibly want in stock. They also have loads of cute novelty stationery type things – perfect for random gifts. On the corner of St Edmonds and Greville is Third Drawer Down. 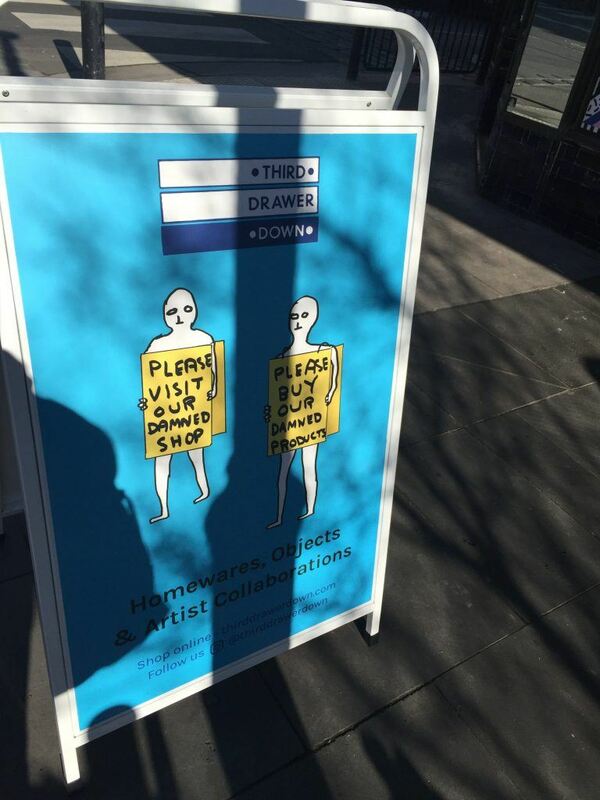 They have a fantastic outdoor sign asking you to Please visit our damned shop – who could say no to that??? 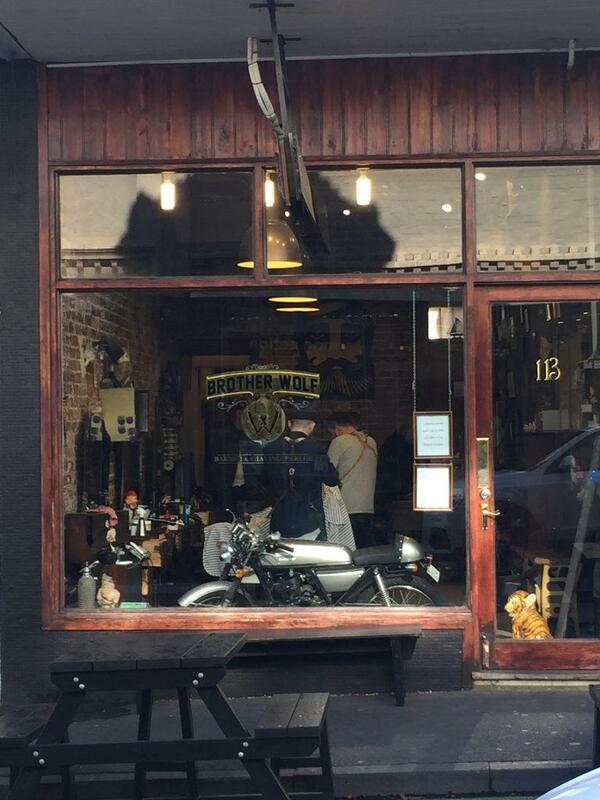 If you are a male reading this you could head to the hipster Brother Wolf to have them tend your beard in full hipster fashion. You will most likely feel very reassured as all the staff appears to have major hipster beards as well. Greville records have been around so long that records have come in and out of fashion. Check it out for your vinyl needs. Fitzroy is just as eclectic and interesting as I remembered – and exploring it remains one of the best things to do in Melbourne. If anything it has gone a bit more upmarket but still remains quite edgy. I started my stroll at the corner of Smith Street and Gertrude Street at the big Crumpler store. 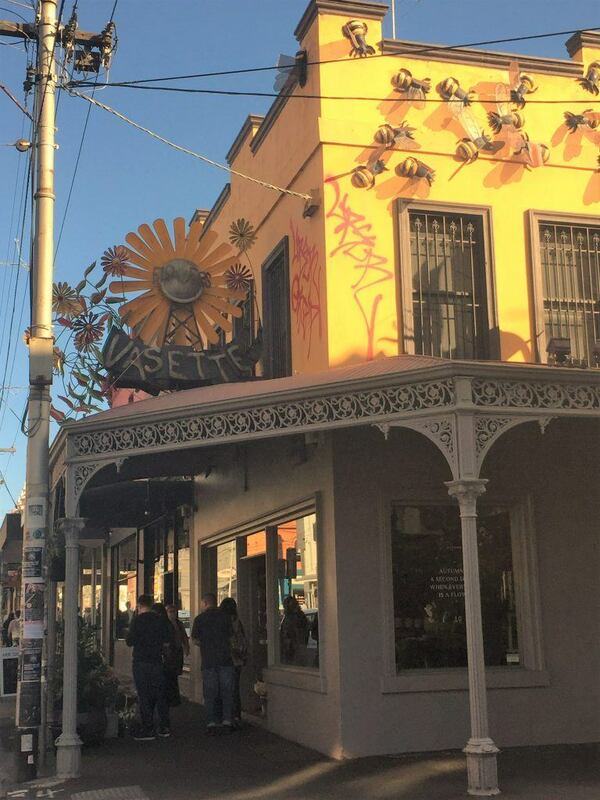 Gertrude Street is a great area to explore. 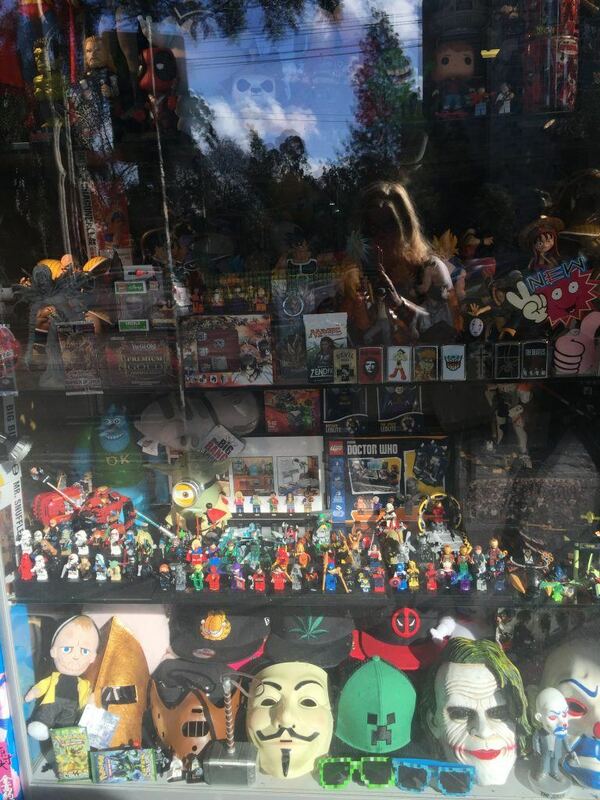 There are loads of cute and unique shops and cafes. I particularly liked Made in Melbourne as all the clothes and jewellery is of course made in Melbourne and quite nice. There are also funky furniture shops and even a milliner. Although this Milliner seems to sell caps for blokes rather than race day headgear. It is quite hard to choose where to eat along here as there are so many good options. There are five super cute busy cafes sitting almost next to each other. I went to Arcadia. I enjoyed a sandwich featuring roast chicken stuffed with lemon and thyme on dark rye and a healthy green smoothie. It was delicious. Dessert can be at The Donut Shop which is 130 Gertrude Street. They have taken the art of a filled donut to a whole new level. Take a right once you hit Brunswick Street. On the corner is the famous Melbourne pub/restaurant the Provincial which has gotten away with its dilapidated exterior for years. A door or two down is a fantastic restaurant called Rice Paper Scissors. The menu is Asian fusion and the service is great. There are quite a few outlet stores along this stroll. My favourite is Melbourne brand Life with Bird which is at 264 Brunswick Street. 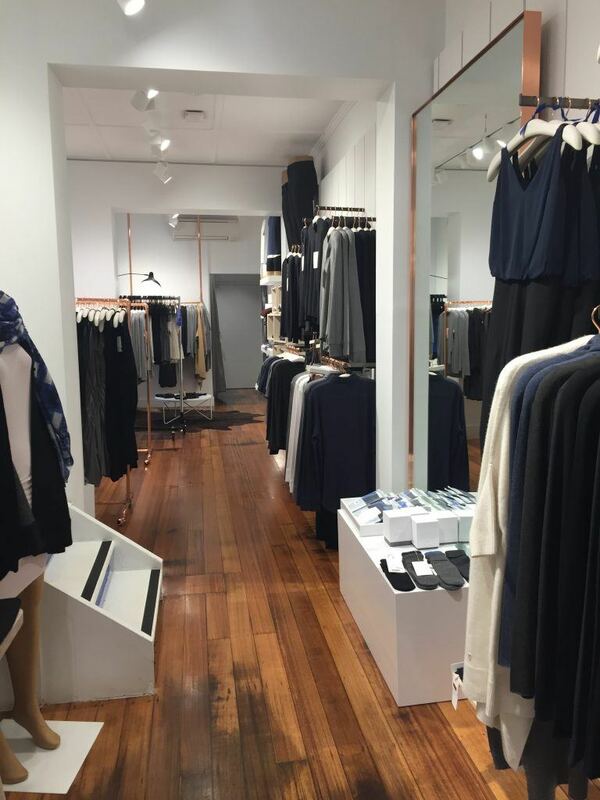 Fantastic local designers are one of the best Melbourne hidden gems! 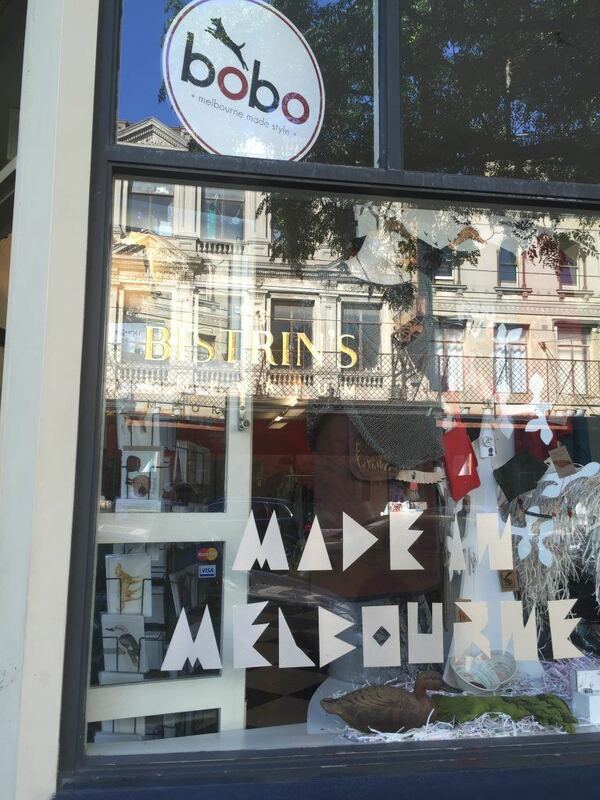 The perfect place for souvenirs or expat treats to take home is The Melbourne Shop at 338 Brunswick Street. Pop into Babka for some bread to take home. Babka is another institution – I used to come here for breakfast when I was at University so it’s been around for a while! After Babka take a right down Rose Street and walk down to Smith street. Take another right onto Smith Street. Have a wander along eclectic Smith Street. Make sure you pop into Gluttony, the home of amazing desserts. Wind your way back to the corner of Gertrude Street and your square/rectangular tour of Fitzroy is complete! There are SO many things to do in Melbourne! 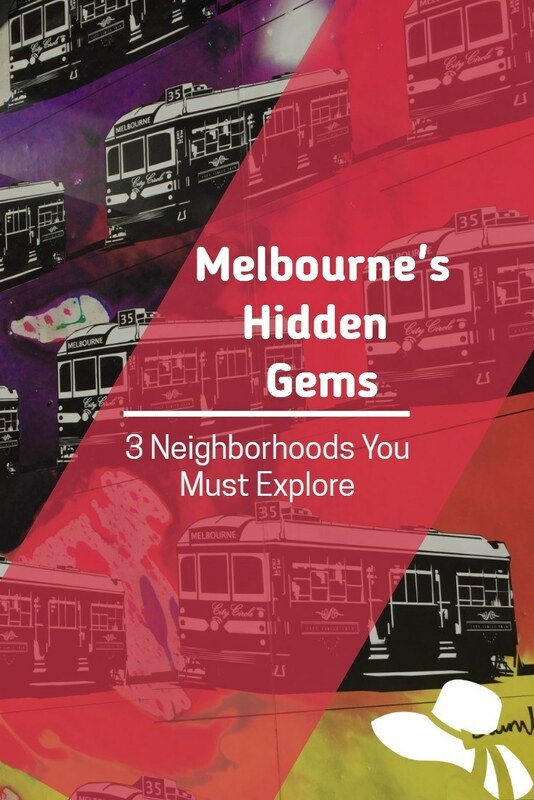 These are my 3 favourite neighborhoods that are filled with Melbourne Hidden Gems! But don’t forget to head to Albert Park, Yarraville and Carlton as well! And if you are looking to move beyond Melbourne check out my post on Weekend in the Mornington Peninsula and Weekend in Daylesford. Heading to Sydney? I have written several posts that you might be interested in reading: 2 Best Weekend Getaways Sydney, Watsons Bay Things to do: The Top 6, Barangaroo Restaurants: Where to Eat in Sydney’s hottest new Neighbourhood, Top 10 Sydney Highlights and Blue Mountains Day Trip: The 4 Best Things to do. The “Milk the Cow” place would do it for me. Perhaps it was just the excellent photo, but that looks great. You covered a good variety of eating/drinking in this article. That is 24 hours well spent in St. Kilda. The stay option seems comfortable and practical. I have a special love for cheese, I will look out for this variety there. St. Kilda seems like a quiet sunny little town which everyone will be fond of once they’ve been there. 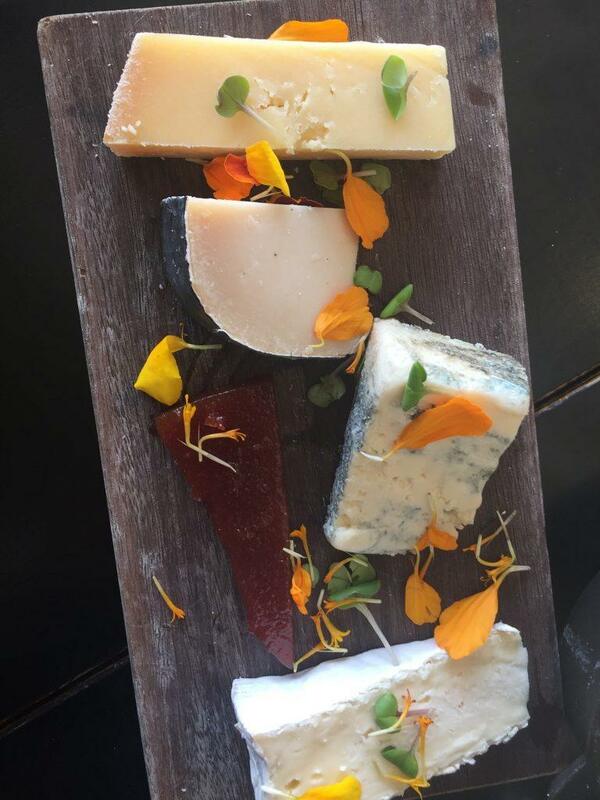 I like your Milk the Cow cheese platter – looks so good! Too bad I did not have much chance to explore Melbourne’s surrounding areas last time I was in Australia. Will note this for next time then. Great information, I would so spend two days at Milk at the Cow – I love places like this! Thank you for the great info and advice ! Any place that has good coffee is somewhere I want to visit! I also would love to try the cake on Acland Street. Coffee and cake are two of my favorite things so I think this would be a perfect place for me! The place seems to be comfortable and cozy. Milk the cow will be a great place for the Cheese lovers. you seem to had a gala time. That hotel looks like a good base to explore the neighbouring places and restaurant, that cheese platter looks deliciously good. I loved St. Kilda when I was in Melbourne. It is so charming and I agree about Europa Cake Shop. But I did not try Fitzrovia. Next time! We loved St. Kilda. We only went for an afternoon and evening, but the food choices were incredible. I think we opted for all cakes. However, it was the little blue penguins under the pier that were our favourites. 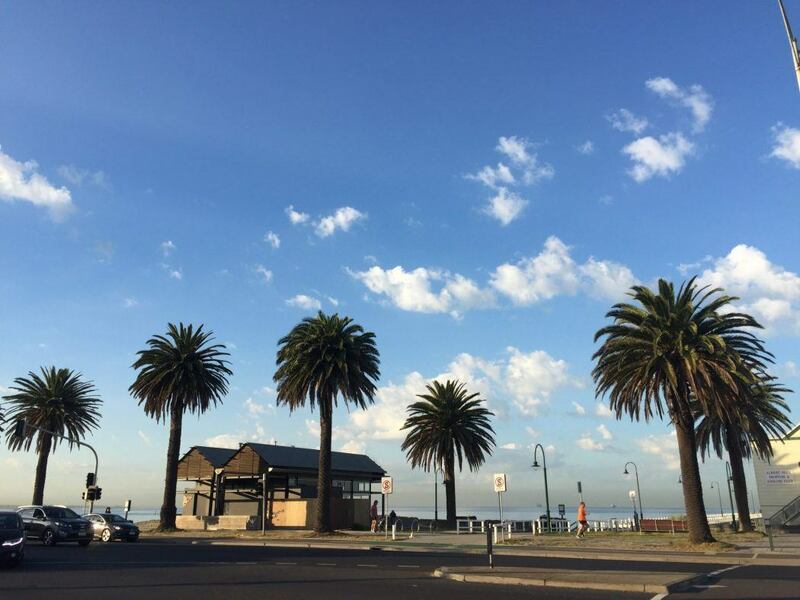 It looks like you had a great time in St Kilda with its bars and restaurants. Did you get to see the Fairy Penguins coming ashore at the top of the pier in the evening? Hi! I highly agree about the 3 places mentioned by the author above. But if you can add more option, include Chinatown on your tour. They take street art to a whole new level with road art. It would be cool to catch a really great local band at St Kilda. You know, the kind where there is a strong following and everybody is up and dancing. Very good way to describe Melbourne as being European, we’re over the pond in Tassie and really love taking weekend trips up  I actually prefer the laid back, chilled vibe of Melbourne more than the glitz and glamour of Sydney. St Kilda is definitely authentic Melbourne – we haven’t stayd at Tolarno’s yet so will have to stay on our next trip. Thanks for the tip! I definitely also have to hit up the Donut Shop in Fitzroy – omg yum! 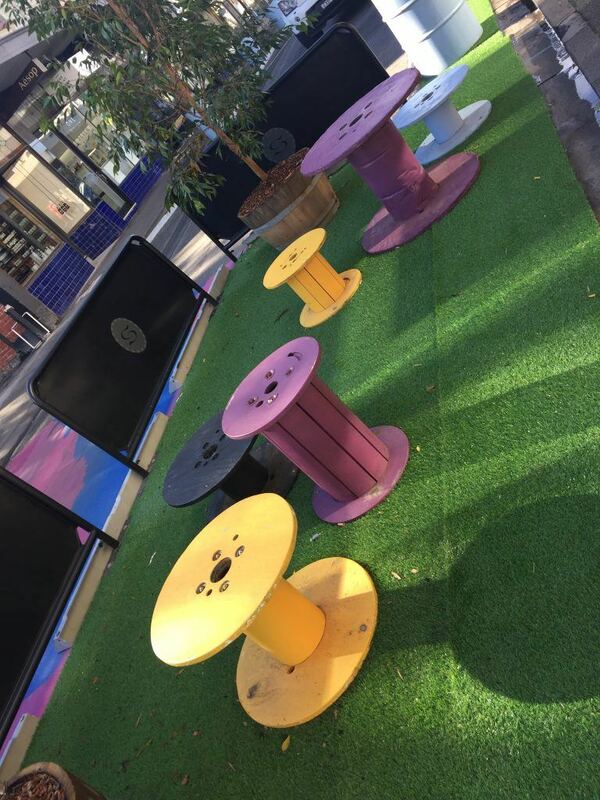 Love all the quirky art and functional and unique seats on Greville street. Looks like you are spoilt for choices here at St.Kilda. Bookmarking this for when we plan a trip to Melbourne. Never heard of this place, but it looks nice. I like the hotel and it is very cool that they still hang the artists work in there. Did the cafe had speciality salads? I’ve never been to Melbourne before but St. Kilda sounds like an amazing place to check out. The little charming town has everything and I just love the food and donuts. Who can ever resist them right! St Kilda is amazing and has some of the best coffee that I’ve had ever!! Thanks for the article. 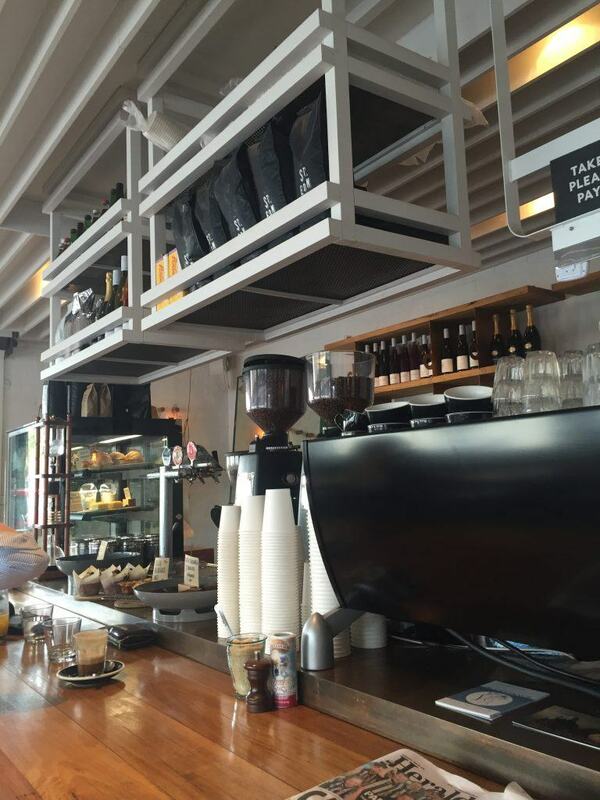 thanks Kerrod – yes st Kilda is fabulous and Melbourne does have the best coffee in the world! Although I am a bit biased about my home town! Oh yeah, everybody will surely love this place. Thank you for sharing.